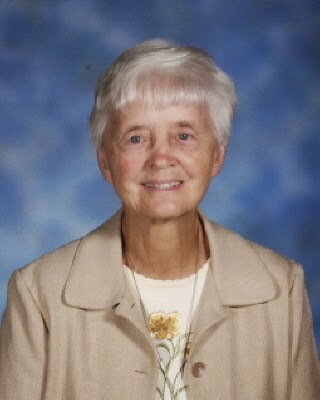 Sister Catherine, SND is about to complete her 45th year as principal of Trinity School and is still going strong. Success has come to the school throughout Sister Catherine's tenure. The school has twice been honored as a Blue Ribbon School of Excellence by the U.S. Department of Education. Born in Baltimore but raised in the Washington area, Sister Catherine attended Maryvale, a Sisters of Notre Dame de Namur school. She was so inspired by the order that she became a Sister of Notre Dame de Namur and has dedicated her life to St. Julie. Sister Catherine returned to Maryvale as principal of the lower school and later became principal of St. Ursula School in Parkville. In 1970 she was selected by the order to become principal of Trinity School. Trinity School was only 29 years old at the time Sister Catherine became the principal. She has touched thousands of lives in her years at Trinity School. Sister Catherine says, "My main joy, and what motivates me, is the children." When students, alum, parents, and faculty think of Trinity School they picture Sister Catherine. Click here to listen to a special song written for Sister Catherine, celebrating her years at Trinity School. Special thanks to Trinity faculty member, Aileen Stauffer and band member, Ron Valenzia of Breaking 12 for sharing the song. Click here to access more songs from Breaking 12.